Tributes have been pouring in for the 18 year-old woman killed in a single vehicle road traffic collision in Londonderry on Wednesday evening. Police said the 18-year-old woman was a passenger in a Vauxhall Corsa that was involved in the collision at around 11.30pm close to Nixon’s Corner. Two other females were taken to hospital for treatment for their injuries. SDLP MLA for Foyle Mark H Durkan expressed sympathy for the young woman's family. “It is heart breaking that a young life with so much potential and many happy years ahead of her has been taken so soon. “My thoughts and prayers are with her family and friends at this devastating time," said Mr. Durkan. Sinn Féin MP for Foyle, Elisha McCallion, described the news as a "shock". 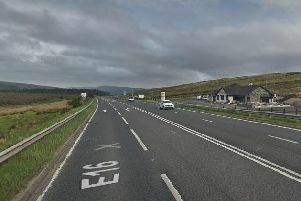 "The news that an 18 year-old woman has died in a road collision on the outskirts of Derry has come as a shock to the local community. "This death is a terrible tragedy and will be devastating for the young woman’s family. "Any death on our roads is one too many. "I want to express my sympathy to the friends and family of the young woman who lost her life at this sad and difficult time."